If you are looking for a place to sell your valuables; then Cash for gold is the one stop den one of those few places where one can blindly trust the employees. We provide a wide range of services to compensate for the needs of the customer. Our services start from home pick-up to releasing gold loans. We are most admired for releasing loans as they are difficult to keep track with heavy interests. Why are we versatile? Because of various reasons. The company deals with almost all kinds of valuables and then almost all forms of it as well. Cash for gold deals in heavy ingots, solid bars, coins with denominations as low as 0.5 gram to any range. We try to buy scraps jewelry which is used or broken or old of any quantity of any quality with 24kt, 22 kt, 18kt or as less as 10kt. So the domain of cash for gold is ever expanding and never ending; we have been in the market with our experienced jewelry buyers together for almost two decades. The company provides so many benefits that one cannot ignore. After the introduction of the online web portal, its quality services are now reaching out to so many people in the city within a fraction of time. Basically, they themselves have the tendency to make a profit out of it. But this organization due to its various services has great access to the buyers and sellers across a wide range of countries. 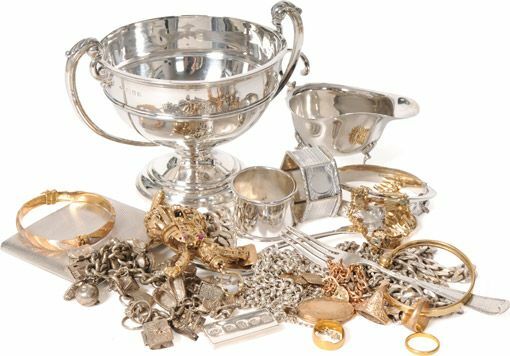 The gold experts here, buy the precious metals keeping in mind the terms and conditions of the customer. Even at times, it sends backs the items if the customers change their mind of selling. The prices offered here are of high guarantee so it makes no sense for anyone to question about it. Hence, we make the topmost jewelry buyers in the entire Delhi NCR. It is quite obvious that with these services, our market is growing day by day. This is very much making it absolutely convenient for the buyers; as well as the sellers to trade all over the city with great assurance.